Chicago Public School teacher Erika Woaniak, who works in Oriole Park Elementary School in West Town, said she has relieved her guilt regarding many of President Donald Trump’s positions through stepped-up self care. An American Psychological Association Study conducted after Trump’s election shows that 66 percent of American adults – both democrats and republicans – said the future of the nation is causing them significant stress. To reduce that stress, Woaniak, media strategist Joanna Klousky and journalist Jen Sabella host ”The Girl Talk,” focusing on self care for the January gathering. The Girl Talk adopted a slogan: ”Self care is an act of political warfare.” That’s a quote from Adure Lorde, the 1980 writer, feminist and civil rights activist. 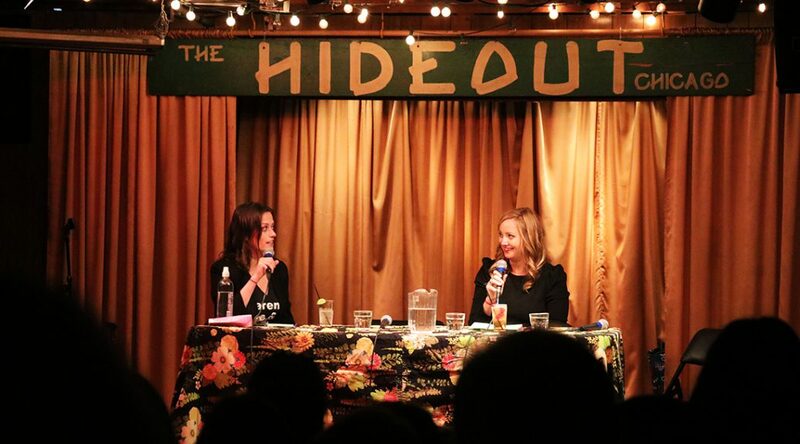 “The Girl Talk,” an eye-catching and congenial monthly event at The Hideout in West Town, features powerful women in Chicago. ”You see from the statistics that both sides of the aisle are really feeling unsettled about this country. That’s really meaningful,” said speaker Alexa James, of the National Alliance for Mental Illness in Chicago. ”It’s not gonna change anytime soon, and what happens is it starts to kind of eat away at you.” James said. James said she’s concerned whether clinicians are equipped to deal with people who are experiencing trauma over current political circumstances. It’s promising to see people seeking self help, though it’s no substitute for the professional care some people may need. Working with children and adults with mental illness as well as those impacted by poverty and trauma round-the-clock, James confessed she’s actually tired and feels negative energy much of the time. But one tip for her and for all is finding that network of people you trust, a group of friends where you can be yourself, she said.